Product prices and availability are accurate as of 2019-04-14 23:18:46 EDT and are subject to change. Any price and availability information displayed on http://www.amazon.com/ at the time of purchase will apply to the purchase of this product. Welcome to SAIERLONG Amazon store. If you have any questions, feel free to tell me, I'll do my best to help you. The sizes are illustrated with specific measurements in the detailed specifications. If you find the size of the products do not fit you, you can directly contact us.? 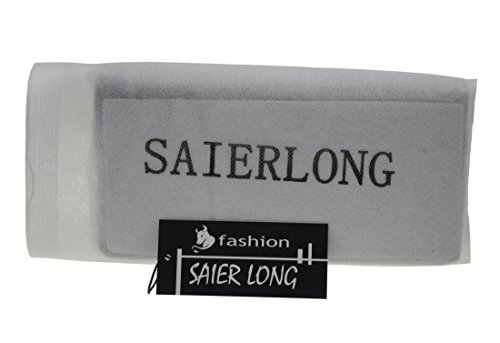 In order to ensure the quality of your product and protect our brand, you should buy the product you need at SAIERLONG Amazon store . 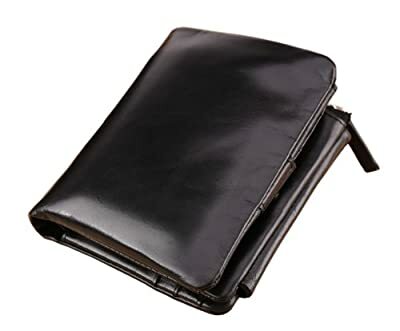 Material: soft leather Dimensions: L 4.60"(11.7cm) x W 3.9"(9.8cm) Internal Structure: 10 Card Slots, 1 ID window, 2 full size bill compartment, 1 coin purse. Applicable occasions: This versatile and stylish wallet is a great present for a birthday, anniversary, valentine's day, Father's Day, Christmas, New Year or another significant event. Our product is delivered by USPS. we will make the shipment within 48 hours. Usually, you can get you product within 8-15 days.